by Bishop Nicholai Velimirovich- 160pgs. 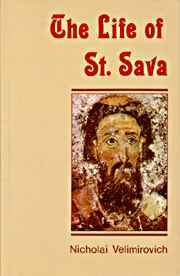 St. Sava is the best known and most loved Serbian saint. Contains the authors meditations on the meaning of the events in the life of the Saint.